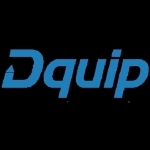 As a Strategic Partner Associate / Executive / Manager you will introduce Dquip products and services to Resellers. You will spend time searching, collecting and collating database of leads pan India and Internationally. You will sign-up tech companies as Resellers for our software products. You will engage, co-ordinate, inform and help Resellers to understand our products and generate business. - Constantly communicate & monitor Resellers for our products.